Ramp up your "Cash Count" by stocking one or more of our innovative "Cool Extras" at your cash counter... 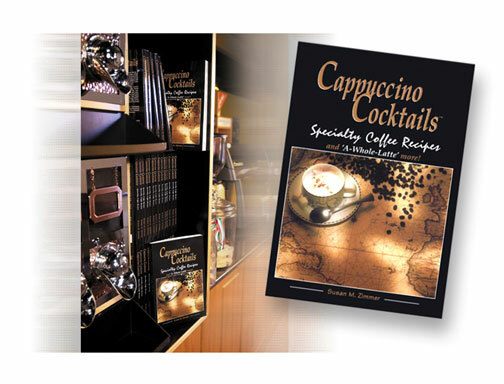 Your customers will love experimenting with the hundreds of recipes in "Cappuccino Cocktails", and will buy more coffee to try them out! Use several new recipes each week to vary your coffee menu; another great sales generator! International Best seller and now a collectoors item. Limited quantities available. We are continually adding new products to this area, so check back often to see what sales boosters we have in store for you!